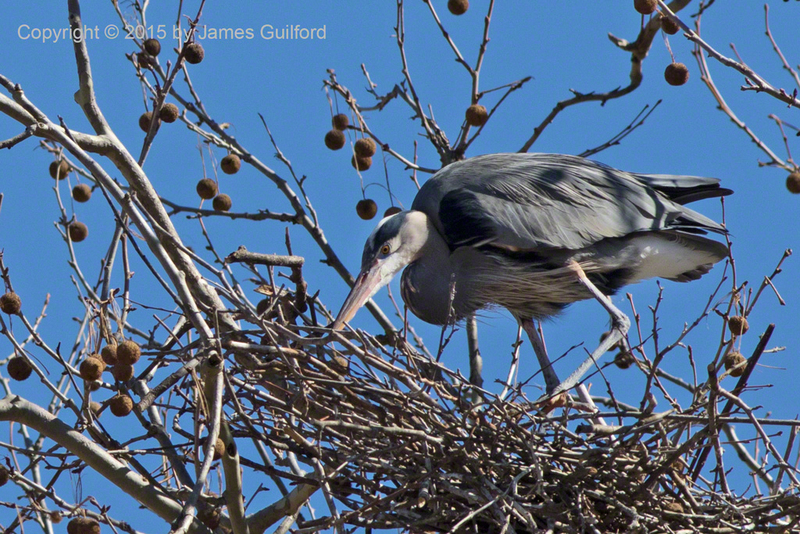 Testing out the new Canon EOS 7D Mark II camera at the heron rookery. On Tuesday, the birds were pretty quiet, standing or sitting upon their stick nests, occasionally working twigs into better positions. The winds were strong so the Great Blue Herons were all oriented windward, “facing” us, with decent lighting. I have much to learn on the new camera, especially regarding its focussing system, but got some very good results today.